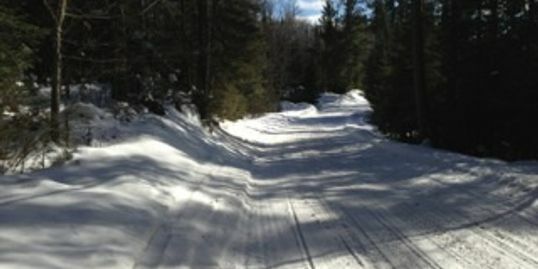 A little about our club, we maintain over 125 miles of snowmobile trails in the area. We have members throughout the Oneida and Vilas County Areas, and all over Wisconsin, Illinois, Iowa, and Michigan. These Legendary Northwood Trails are groomed several times a week with a priority for weekend traffic. 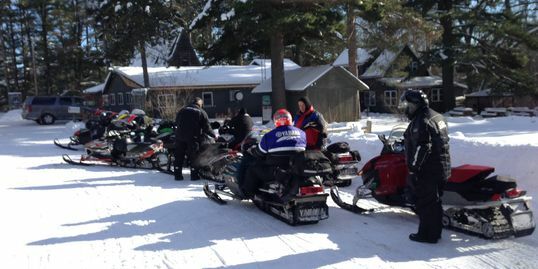 Our trail system connects Minocqua to Price County ( Pike Lake Area ) on the west, north to Lac Du Flambeau (Lake of The Torches Casino and Resort), East to Minocqua, Woodruff, and Lake Tomahawk, and south to the Willow Flowage Area!!! Weather permitting our club holds a weekly ride every Wednesday or Thursday beginning the first week in January. In 2015 our Club President decided that it would be worth the effort to organize a weekly ride, as a means to get to know fellow members and not have to ride alone. Since then this activity has evolved into something special. It's the norm now for many of our rides to have over twenty participants. Thanks Larry and Nancy Schum for volunteering to coordinate and lead us for the past three years. Your knowledge of the Northwoods trail system and destination stops has been a great asset to the success of this event. And, thanks to everyone riding along for making this event. And, thanks to everyone riding along for making this an enjoyable experience to look forward to each season. Your generous donations are used to keep our trails groomed and maintained.